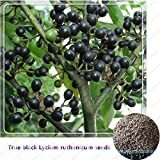 HOO PRODUCTS - 50Seeds/bag Lycium Barbarum(Lycium ruthenicum) Black Goji Berry Wolfberry Fruit Seeds for Home Garden Plant Brand New ! 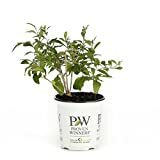 Goji berry seeds for sale – Easy plant to grow with edible fruits, planting in winter to spring better to buy plant, cutting or another option to start from seeds yet more challenging. Harvesting from late spring to autumn fruits can be used eat raw, dry, jams or fruits leather. Sowing in the spring, sow in full sun, well-drained soil, moist soil and 0.5-1cm deep.